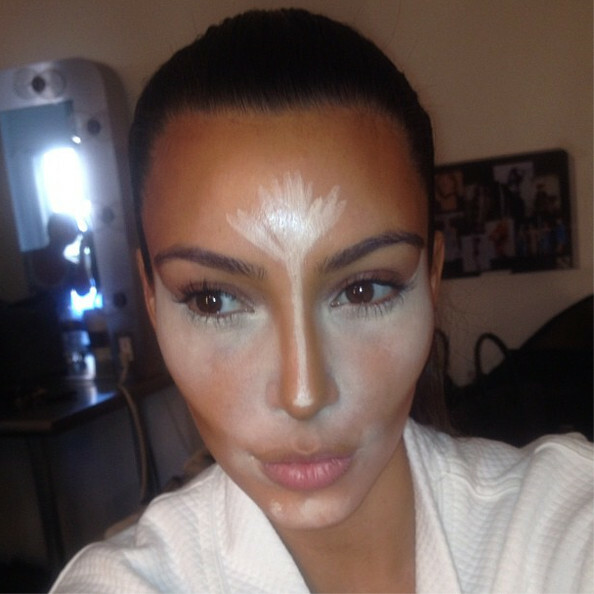 So, I find it no surprise that contouring has blown up. I mean 2k14 was year of the contour. Make up artists were not divulging how to be freed from flatface™ (2 dimensional features) until beauty gurus took to YouTube to help the masses. There are literally THOUSANDS of how-to contour vlogs, and not only that, but how to do it INEXPENSIVELY!!! Why would you drop mad duckets on make-up and still not get the look you want? So smaller “big business” prospered… BH Cosmetics, LA Girl Pro Concealer, NYX to name a few. And then one day, I moseyed into Sephora and was overwhelmed with contour!!! Contour to the left of me!! 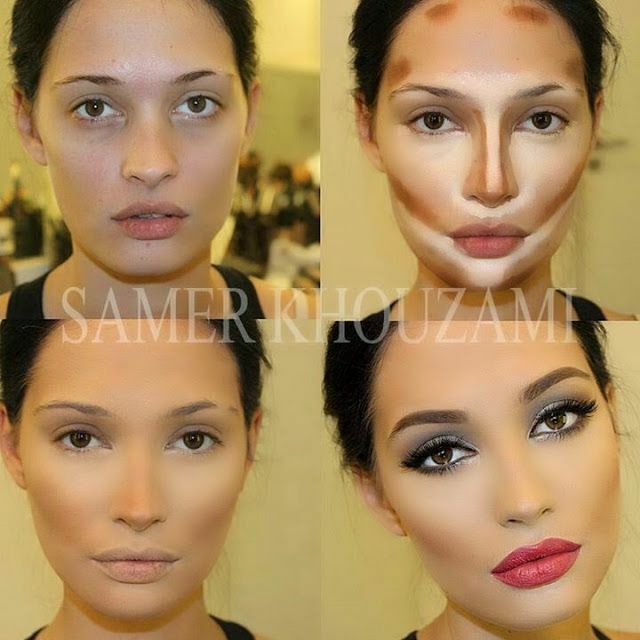 Contour to the right!!!! Not only that but EXPENSIVE! It was weird. It sort of felt like it feels when someone passes on you because they think they’re too good for you and then when you come up, they’re all in your face like “hey girl heeey! !” Now this is no shade to Sephora – I legit love them- or the make-up companies (well maybe a little shade) but you can’t tell me now in this new abundance of the contoured world that you can’t find good contour for better prices. 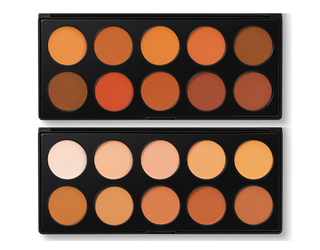 For $11.95 each you too can prosper in the contouring paint. Now again, no swipe at Sephora because they have to present what they’re given. I’m just saying for these bigger “choicer” brands, it may be too little too late. Smaller “known” brands are knocking it out of the box with comparable quality products at a fraction of the cost. Budding make-up lovers first touch is less magazine and more blog and vlog. The game is changing. They’re flooding an already extremely flooded market with more product at a higher price. How long can they stay afloat with indie make-up companies on the rise? 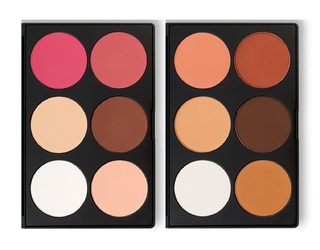 Will big make-up have to lower their prices in order to compete? Do you think they will buy up or partner with smaller companies to maintain their edge? The make up industry isn’t just predicting next seasons “it” colors and getting it to you swiftly in the prettiest new quirky packaging, like it or not it has a vested interest in how you spend your money and would like to keep as much of most of it as possible. With a handful of big Corporations controlling cosmetics, and the fact that cosmetic industry estimated about 56 billion US dollars in 2014, I would think that this would be something to consider no? So weigh in, let me know what you think in the comments below! Really like what title of problems?? I TOTALLY agree! NYX pigment payoff is better than some MAC lippies, I probably have every Glazed lip paint by LA Girl and the whole line probably cost the same line as one Melted Lipgloss. But big make up companies stand to lose so much… I don’t see them lowering without a fight. But it would be dope if they did! Sephora is on the come up with their line as well!